Hope and the Future is a critically important book by one of our times’ most respected and original social thinkers. This second edition includes a new preface and additional examples that more specifically address unsettling events of the last four years. The defining crisis of our time is a crisis of purpose. We lack a narrative, a human story, sufficiently compelling to take us forward. Hope and the Future introduces the Creative Systems concept of Cultural Maturity as a provocative candidate. The book addresses critical questions before as a species and what will be required of us to answer them effectively. And it looks at how the concept of Cultural Maturity provides overarching perspective for both understanding needed new capacities and what makes their realization possible. Some of the critical questions the book addresses include: How, given the growing availability of weapons of mass destruction, do we best support a safe human future? How do we successfully address the very real possibility of environmental catastrophe? How will we make love work in the future, with gender roles and expectations today so in flux? How, in times ahead, will we deal with numerous new concerns that require global decision-making—such as terrorism and the need for stable and trustable global economic structures? How will we make the moral decisions demanded of us—given both their growing complexity and the weakening of cultural guideposts that we have relied on in times past? And most ultimately important, how do we best conceive of progress, if our actions are result in real human advancement? The concept of Cultural Maturity offers a direct answer to this last most important of questions. In doing so, it provides a compelling guiding story for going forward. It also provides concrete guidance for taking on the tasks before us. Hope and the Future argues that if the concept of Cultural Maturity is not basically correct, it is hard to conceive of a vital human future. Of all Dr Johnston’s books, Hope and Future is written most specifically for a general audience. It is the place to start if you are not familiar with his work. 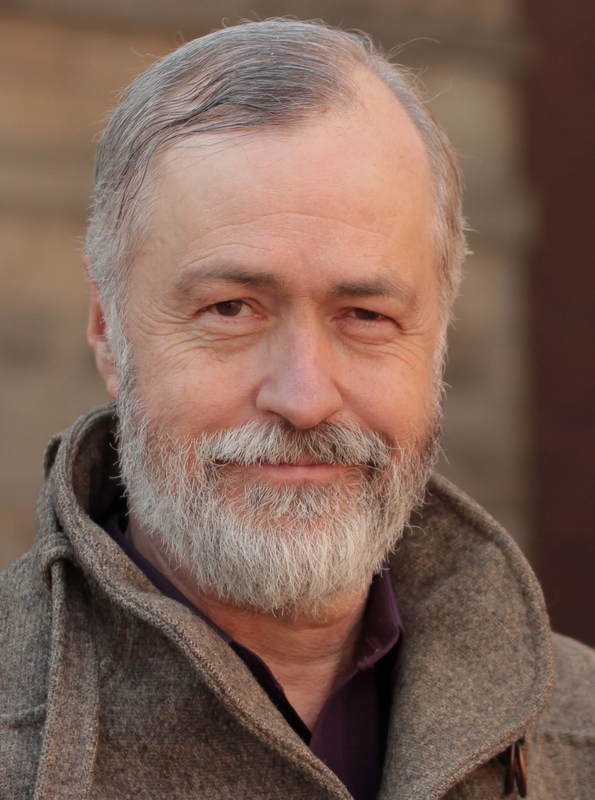 Charles M. Johnston, MD, is a psychiatrist and futurist. He is best known as the originator of Creative Systems Theory, a comprehensive framework for understanding purpose and change in human systems, and for directing the Institute for Creative Development, a nonpartisan think tank and center for advanced leadership training. He is the author of numerous books and articles on the future and how we can best prepare to meet it. Creative Systems Theory-related websites can be found at www.CreativeSystems.org, the institute blog at www.CulturalMaturityblog.net and Dr Johnston’s Looking To the Future podcast at www.Lookingtothefuture.net. “I highly recommend this book to anyone who is seriously concerned about the future of humanity and the planet and is seeking realistic hope and guidance in these complex and troubled times. A Monumental Contribution to our Human Understanding? How many psychiatrists do you know who focus not only on the psyche of their individual clients, but on the “psyche of culture”—wondering not just about how “I” might grow toward health and wholeness, but how all of humanity might do so by helping to create the culture we need 5, 50, 500 years from now? For me, reading Charles Johnston’s books (The Creative Imperative, 1986; Necessary Wisdom, 1991; Cultural Maturity, 2015) has provided me with an “operating system” for asking better questions and inching toward the human wisdom required for a future succeeding generations deserve. 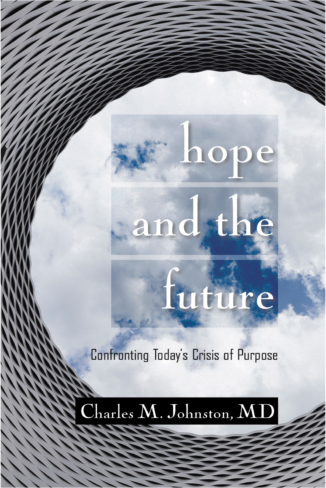 And now, Dr. Johnston gives us Hope and the Future—Confronting Today’s Crisis of Purpose (2018). In this slim guidebook for the times we live in, he provides a digest of new developmental/evolutionary ways of thinking and more encompassing perspectives to help address humanity’s deepest questions of meaning and purpose: how to move beyond the need to constantly create evil others (both inter-personally and politically); how to embrace the “power of limits” before warming our planet beyond human habitation; how to rethink relationships, love and leadership; how to understand what really matters for human well-being and advancement. Dr. Johnston opens with a heart-rending conversation with a fifteen-year old who, two-days earlier, had tried to end his life and said, “I just don’t see a life I’d want to live.” I shudder to think how many sensitive young persons have similar thoughts about this crazy world we’ve made for them. Not just consuming the culture we’ve inherited but co-creating the culture we need is the responsibility of mature adults. Dr. Johnston maps the challenging and demanding territory so that each of us can do our part to heal the sickness that lies deep within the psyche of our times. “Integrated,” Integration, and “Integral”…If you have seen these words used in so many different ways that these words have become meaningless to you,…read this book. If you think including several different points of view on the same panel/committee or layering different aspects of a given issue on top of each other is the same as providing an Integral Perspective in large arenas such as Governance, Education, or Health…Read This Book. If you are not aware that simply comparing or contrasting one aspect of a field to another (such as democracy to socialism, “teacher-centered” to “student-centered,” or “process oriented to “product-oriented ) is not really the same as “integrating” them… Read This Book. “I have spent my life in the field of the Arts & Education–most recently teaching for many years at UC Berkeley, and now teaching as a guest artist worldwide. I feel that the single most important life-skill I have learned is the skill of “Moving beyond Polarity.” I learned the importance of this skill and how to train for it from working with Dr. Charles M. Johnston! 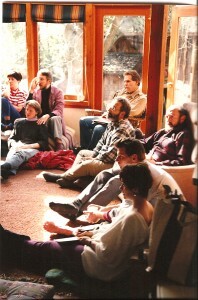 Peggy Hackney — Movement Artist, Educator, Somatic Movement Therapist.